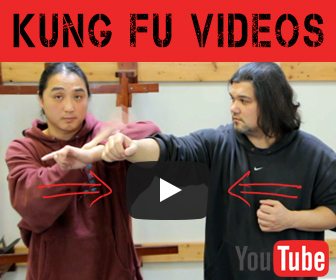 What I see on many, not all Chi Sao videos is two people trying to beat each other up. Somewhere the true nature of Chi Sao Got lost. What you do see lot’s of times is one or two people just trying to beat the other person. This kind of free flow chi sao defeats the purpose of doing chi sao. Chi Sao is an exercise that teaches skill sets. Obviously, the act of doing chi sao in of itself in no way represents a real fight, simply because in a real fight there is no initial contact with your opponent. I’ve also seen videos where 1 person is trying to do Chi Sao while their opponent is trying to fight. The comments I have read on many chi sao videos are full of ignorance. With the person doing the flaming not understanding what they are actually seeing. …It takes a trained eye to really understand the dynamics of energy movement through the body. You could easily mis interpret what is happening if you don’t know what to look for. I’ve seen plenty of good instructors get flamed because the person watching it doesn’t understand what is actually happening. Any good Wing Chun practitionor knows that chi sao isn’t fighting. Hell you could hardly call it a spar session. Sparring has it’s place as does Chi Sao. The 2 exercises train 2 different components of a larger picture. 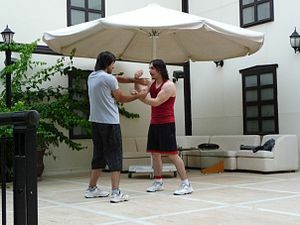 This is why when you see one person practicing chi sao while there partner is trying to fight the chi sao looks bad. Chi Sao isn’t about winning, it’s about blending with your opponent and feeling their energy. In order to learn martial arts and get the most out of it. You need to be willing to leave your ego and pride at the door. If your already full of yourself and your ideas you won’t be able to learn new things. It’s no secret that “style” is irrelevant, the only thing that matters is that you apply what you learn to who you are. It is in this way that you are able to bend and blend with your opponent. Great post. 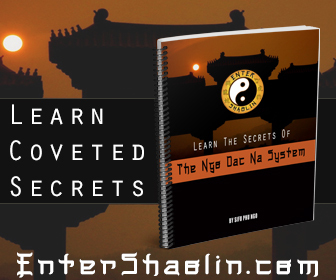 I have often felt like Chi-Sao is the truth gem of any Wing Chun training regimen and you describe the logic behind training it and the mentality one has when applying it as a practitioner beautifully. Well done sir! Hi Adam, thanks for stopping by and commenting I am glad you enjoyed the post.